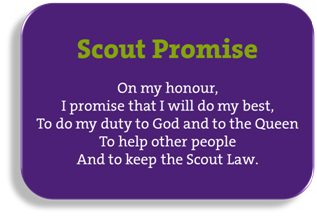 When a Scout joins the troop, they must take the Scout Promise and abide by the Scout Law. They express the values we believe in as members of the worldwide family of Scouts. “On my honour, I promise that I will do my best” – You will do your best at everything, because it is very important to you. You will not always succeed but you will always know that you have given your best attempt! “To do my duty to God and to the Queen” – Duties are those tasks which you have to do. You should try to do those thing you know need doing before someone else tells you to do them. Your duty to the Queen, includes showing respect for her and what she stands for as the head of your country. This includes obeying the laws of your country (and any other country which you visit). “To help other people” – Whenever you see someone in need of help, don’t let them struggle, find out if there is anything you can do to help. 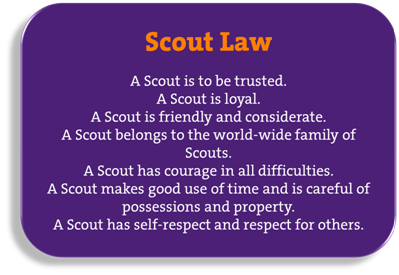 “And to keep the Scout Law” – You will always do your utmost to obey the rules of the Scout Law. 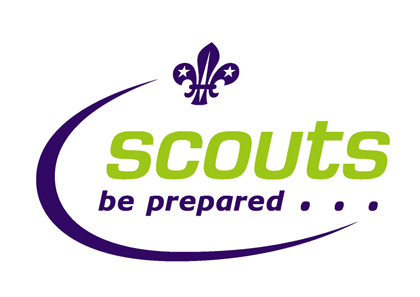 A Scout is to be trusted: Always keep your promises, if you agree to do something, then make sure that you do it. A Scout is loyal: As a Scout, you are dedicated to Scouting, your family, friends and your work. A Scout is friendly and considerate: As a Scout you must always think about how what you do may affect others (including people that you do not know). This includes things such as not making noise which could upset your neighbours and always disposing of your litter carefully. A Scout belongs to the world-wide family of Scouts: The Scout movement is like a large family, and as such you will find that you can share in Scout activities throughout the world. A Scout has courage in all difficulties: When things get tough you will do your best to overcome any difficulties. A Scout makes good use of time and is careful of possessions and property: Plan what you are going to do and when. For example, when you get home from school, plan your evening, do your home-work first! Always look after the items you own and the things you use, and everyone else’s for that matter. When you are at school, look after the books and equipment you are given to use. A Scout has self-respect and respect for others: Look after yourself, don’t rely on someone else to tell you when to do things. For example, your parents will not always be with you to tell you to get washed in the morning, or dress smartly. You may not always agree with other people, but you should always be willing to listen to what they have to say, and you should respect their views and opinions even when they do not match your own point of view.